Some people say that everything has got its place in time. Yup, that's definitely true. For me, 2012 has definitely been one of the best year ever. From January till December. Full of sweet memories, though there might be some bitter moments but still, it is a year that i'll definitely cherish and remember throughout my life. First and foremost, since I've officially become a medical student, I do have to admit that time is definitely one of the most important stuff to consider. too many things to memorize and too many mechanism to be filled in this small little tiny brain, but again, Alhamdulillah, cause I've been given the chance to pursue myself in this so-called tense course. anyway, back to the main story. why is 2012 so memorable ? well, basically, banyak je benda yang berlaku (oops ! kenapa tetiba dh x speaking ni ?) 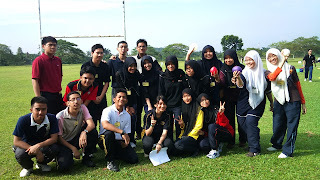 sepanjang 2012 but here are just some of the important stuff that makes me feel semangat to write this blog. KMB in short is a place where i've learnt a lot of new stuff. and at the same time, being given the chance to meet some pretty awesome-cool-sempoi people. truthfully, I hated IB (International Baccalaureate). but the environment in KMB somehow membuatkan aku immune to IB. The teachers are superb. 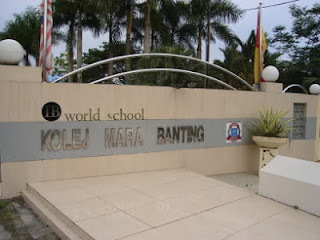 The students were tip top and friendly habis. Though the days were filled with workloads, assignments, EE, ToK, internal assessment, aku yakin je skrg confem semua tgh ckp kt diri masing2 nk kembali ke KMB. not in the sense of nk buat IB lg skali but for the sake of having friends around us. to be honest, aku rindu nk bangun pagi2, then berebut2 tandas *especially part nk cop tandas dgn meletakkan baldi dpn bilik shower. haha*. rindu nk pergi beli breakfast kt koop and kiosk especially keropok lekor and wedges (nisa slalu beli byk2 smpai stok habis), rindu nk makan nasi lemak kantin yg tiap2 tahu naik harga, roti gardenia and roti sosej kt koop, rindu makan ikan keli DS, rindu nk makan kt KFC lpas kelas ptg2 ngn classmate, rindu NAK MAIN VOLLEYBALL waktu riadah, rindu ceramah tiap2 malam Jumaat, and mcm2 lagi la kalau nk diikutkan. Anyway, apakan daya, masa berlalu dengan pantas and sedar x sedar, dh nk hampir setahun dh tinggalkan KMB. so, i just hope that those memories will forever remain dlm kepala ni and hopefully nnt kalau ade reunion batch, dpt la jumpa batch2mate walaupun ramai je ada yg kt Ireland ni.haha. and for that, this is what makes 2012 one of the most memorable year ever.